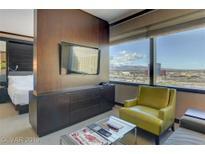 Below you can view all the highrises for sale in the Vdara subdivision located in Las Vegas Nevada. 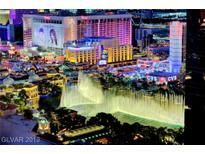 Listings in Vdara are updated daily from data we receive from the Las Vegas multiple listing service. To learn more about any of these highrises or to receive custom notifications when a new property is listed for sale in Vdara, give us a call at 702-323-5939. A One of A Kind Property! MLS#2087449. Elite Realty. Walking distance to gaming, shopping & world class dining. MLS#2086376. eXp Realty. This Is Truly The Best Of The Best! ! MLS#2080222. Award Realty. Onsite Rental Program Available. Cash Flow Producing Condo-tel!! ! MLS#2078558. Award Realty. Walking distance to gaming, shopping & world class dining. MLS#2069369. eXp Realty. Walking distance to gaming, shopping & world class dining. MLS#2062530. eXp Realty. 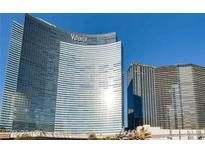 Vdara Condos are located just steps from the Bellagio Hotel and Aria Casino at CityCenter. MLS#2056783. Luxury Real Estate Advisors. This property is available as a combination suite with unit 21040. MLS#2057030. Pordes Residential Sales & Mar. This property is available as a combination suite as well with unit 21042. MLS#2055252. Pordes Residential Sales & Mar. Walking distance to gaming, shopping & world class dining. MLS#2005780. eXp Realty. Walking distance to Gaming, Shopping & World Class Dinning. MLS#1990540. eXp Realty. 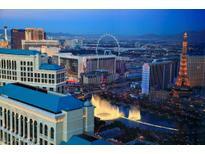 Enjoy ALL the amenities...pool, gym, cafe, lounge, Starbucks, pet friendly park, tram, access to Aria/Crystals & More! One of a Kind Property! ! MLS#1981179. eXp Realty. Great Pool, Gym & Spa, Valet Parking. MLS#1904908. Realty ONE Group, Inc.